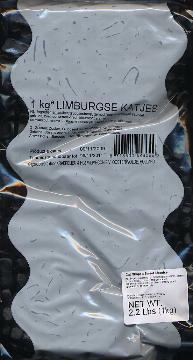 These lillte kitties are the BEST licorice treat! I just love 'em... and drive 120 miles to get them at a little Dutch Bakery in Billings, MT. USA. So glad to findthem online...even my friend who don't like licorice like these, and I can't keep 'em away from those who do.